Auckland intermediate students are set to experience the harsh reality of credit scores in a just-launched financial literacy programme – but don’t panic, it’s just pretend. Credit ratings agency Equifax – formerly Veda – is sponsoring the latest financial literacy tool created by Banqer. Banqer makes simulated online banking for classrooms, using various modules, such as understanding savings and interest. On 20 March, Banqer launched a new tool that simulates a credit report for students, based on hypothetical financial scenarios. “Learning about credit reports, scores, credit worthiness and allowing students to see the real-life implications of their financial decisions is essential if we want to build a more financially literate nation,” Equifax managing director Carol Chris says in a media release. Students at North Shore’s Murray’s Bay Intermediate are the first to test drive the credit ratings module, aiming to teach the students about the consequences of financial decisions. How Banqer’s system works is students will receive a hypothetical credit score based on their engagement with the simulated banking environment. For example, timely repayments will increase their hypothetical credit rating, missing a bill payment will reduce their credit score. Students will even be able to take out simulated personal loans; what they can spend the loan on will vary between classrooms. The children will then receive a credit score, with detailed information about how their financial decisions contributed to this rating. “The report also suggests ways in which a student can work to improve their credit score, along with the rationale why,” Ms Chris says. 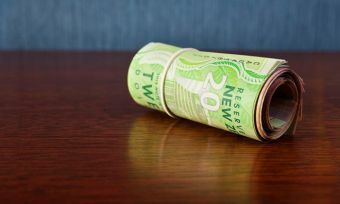 Ms Chris believes education around credit histories is limited in New Zealand and that the new Banqer module will help to teach New Zealanders about it from an early age. She hopes this module will have positive flow-on effects for their family and peers. “We know that Banqer’s existing learning platform is very popular among schools and that Kiwi kids enjoy the simulated learning environment. “As a result, students are now sharing their knowledge with peers and family. “Partnering with Banqer is a great way for Equifax to support the education of our younger generation on the importance of credit history in a fun and informative way,” Ms Chris says. 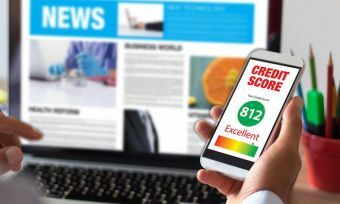 Credit ratings can have a profound impact on your finances later down the track; a bad score can limit your access to loans or bank products, such as credit cards. Canstar has a number of guides available on how to get a credit rating and how credit ratings impact can impact your financial choices. Also, if you need some help choosing a credit card best suited to your financial situation, check out Canstar’s credit card ratings report.